Is married.....wife's name is Susana.....the couple has a son named Matias ... Enjoys spending time at the beach with his family during the offseason ... Follow him on Twitter (@JAguilarMKE). Batted .274 with 35 HR and 108 RBI in 149 games with Milwaukee ... Made 123 starts (119g at 1B, 2g at 3B, 2g at DH) ... Was among the National League leaders in RBI (T4th, 108), slugging percentage (5th, .539), HR (T5th, 35) and OPS (9th, .890) ... Was an All-Star for the first time ... Was an All-Star Final Vote candidate, garnering 20.2 million votes to defeat Brandon Belt (SF), Matt Carpenter (StL), Max Muncy (LA) and Trea Turner (Wsh) ... Competed in the Home Run Derby and fell to Rhys Hoskins (Phi), 17-12, in the first round ... Was named Brewers Player of the Month for June (23g, .313, 10hr, 24rbi) ... Belted walk-off homers on 4/21 vs. Miami and 6/22 vs. St. Louis.....were the first walk-off homers of his career ... Batted .216 (8-for-37) with 2 HR and 5 RBI in 10 games during the postseason ... Homered in Game 3 of the NLDS at Colorado and in Game 1 of the NLCS vs. Los Angeles ... Notched 3 hits and 3 RBI in Game 6 of the NLCS vs. Los Angeles ... Played for Aragua in the Venezuelan Winter League (22g, .291, 0hr, 10rbi). Batted .247 with 30 HR and 92 RBI in 137 games at Triple-A Columbus...Led the International League in HR (30), RBI (92), extra-base hits (56) and total bases (243)...Was recalled by Cleveland on 9/11... Appeared in 9 games with the Indians (0-for-6).....his only start came on 9/27 at Detroit (1B)...Played for Caracas in the Venezuelan Winter League (42g, .314, 10hr, 22rbi)...Was designated for assignment on 1/26/17 and claimed off waivers by Milwaukee on 2/2/17. Had another solid season at the Triple-A level, batting .267 (136-510) with 29 2B, 1 3B, 19 HR & 93 RBI in 131 games. ...He led the International League in RBI, which was 2nd-most in the Indians organization and 14th in all of Minor League Baseball and also FInished T4th in home runs (19), T8th in doubles (29), 9th in hits (136) and OPS (.771) and 10th in slugging pct. (.439) in the I.L...He hit .304 (79-260) with runners on, .309 (51-165) with RISP and .305 (18-59) with RISP-2outs....Aguilar batted .306 (41-134) with 14 2B, 5 HR & 26 RBI in 34 games from August 1 thru the end of the regular season and batted .256 (10-39) with 2 2B and 4 RBI in 11 postseason games for the International League champs...Made all 98 of his defensive appearances with Columbus at FIrst base...Was a midseason and postseason International League All-Star selection...Was with the Major League club over two stints from July 24-27 (3 games) and again from Sept. 23 thru the end of the season...Overall made 4 starts at first base, 1 start at DH and was 4-for-10 with a double (first career extra-base hit on Oct. 2 vs. Boston) and 1 RBI...Appeared in 21 games for Caracas in the VWL after the season. Had a prolific year at Triple-A Columbus, hitting .304 (130-427) for the Clippers with 31 doubles, 19 home runs and 77 RBI in 118 games (.395/.511/.905)… Was a midseason International League all-star and a Triple-A All-Star selection from Baseball America .... Posted almost identical OPS' vs. LHP (.894) and RHP (.911)… Finished among International League batting leaders in on-base pct. (.395, 2nd), O P S (.905, 2nd), slugging pct. (.511, 4th), homers (19, 5th), walks (64, 5th), RBI (77, 4th), average (.304, 6th), runs scored (69, T6th) and total bases (218, 8th)...Among organizational leaders he was 3rd in HR, 4th in RBI and 5th in average (his 35 HR/182 RBI in 2013-14 are most in the system). Over his last 21 games for Columbus (Aug. 5-31) he hit .420 (34-81) w/18 RS, 9 2B, 5HR and 13 RBI as he went on to become IL Player of the Month in August (.365, 5HR, 13RBI, 19RS, 25G , 1.056O P S)...He also hit .356 (31-87) in April with 7HR and 16RBI in 24 games...For the year off RHP in Triple-A he batted .309 (89-288, 14HR, 49RBI) and .295 (41-139, 5HR, 28RBI) off LHP ...Hit .294 (58-197) with runners on base and .286 (32-112) with RISP ....Enjoyed a 5-hit game on August 25 vs. Indianapolis and had a pair of two-homer games .... Appeared in 82 games at first base and 1 game at third base for the Clippers....Named an organizational all-star by MILB.com. Enjoyed his first three stints at the Major League level as well in 2014...Was with the Major League club from May 15-19, May 27-June 6 and from Sep tember 1 thru the end of the regular season....Collected his 1st Major League hit (Drew Smyly) and RBI on May 19 vs. Detroit, going 1-for-3 w/2 RBI...Made his MLB debut on May 15 at Toronto...For Cleveland in 2014 he made 9 starts at first base (12 games), 2 starts at DH and appeared in 1 game at third base ... Was 1-for-17 in September in 11 games ... Played for Caracas in the LCBP over the winter (.303, 36-119, 4HR, 18RBI). Set the Double-A Akron franchise single-season record w/a league-best 105 RBI surpassing the previous mark of 97 RBI held by Wes Hodges and Carlos Santana...His 105 RBI led the system and were the most by a player playing his full season at the Double-A level and ranked 6th in all of Minor League Baseball in 2013…Was a midseason and postseason Eastern League All-Star...Hit 16 homers on the season, which ranked 2nd on the team and T3rd in the organization...Posted at least 19RBI in four of the five months of the Minor League season and drove in 26 runs in both April (23 games) and August (28 games)...Hit .284 (99-348) off RHP with 22 2B, 13HR & 77RBI (.813OPS)...Hit .317 (82-259) w/runners on base, .339 (59-174) with RISP and .403 (31-77) with RISP-2outs...His RBI prowess continued in the winter, hitting .327 (74-226) w/7 2B, 18HR & 50RBI in 58 games in Venezuela with Caracas (1.000OPS; finished 4th in the LVBP in RBI, 2nd in HR and 7th in average)...Added to 40-man roster on November 20. Hit a combined .280 (123-440) with 31 doubles, 2 triples, 15 home runs and 71RBI in 127 games between A Carolina and AA Akron (.372OB/.833OPS)...Ranked 4th in Indians Player Development system with 71 RBI...Named Carolina League Batter of the Week 4/30-5/7 and hit .348 (31-89) in 26 May games with 8 2B, 2 3B, 3HR & 16RBI, 3rd highest average in May in the CL...Had three 2HR games for Carolina and was promoted to AA Akron on August 14, where he had 7 multi-hit games for the Eastern League champs. Played for World Team in the 2012 All-Star Futures Game (KC)...Hit .312 (24-77) combined off left-handed pitching in 2012...Played for Caracas in the VZ Winter League after the season, hitting .267 (16-60) with 7 2B, 3HR & 9RBI in 22 games (.862OPS)...Enters 2013 ranked as the 10th best prospect and best power hitter in the Indians organization according to Baseball America. Spent most of season at A Lake County and led the Indians Player Development System in RBI (82) and was 2nd in home runs (23) and 3rd in hits (131)... Named to the Midwest League Postseason All-Star Team and an MiLB.com Organization All-Star... Even though he played just 95 games for Low-A Lake County he still finished 7th in the Midwest League in home runs (19), 16th in RBI (69), 2nd in slugging pct. (.544), 2nd in OPS (.915) and was 2nd in home runs to at bat ratio (1 in 18.4). Split season between Arizona rookie ball team and Mahoning Valley...Named NYPL Player of the Week for the week of 9/6. Named to Dominican Summer League midseason all-star team. December 4, 2018 1B Jesus Aguilar assigned to Tigres de Aragua. November 23, 2017 1B Jesus Aguilar assigned to Leones del Caracas. February 2, 2017 Milwaukee Brewers claimed 1B Jesus Aguilar off waivers from Cleveland Indians. January 26, 2017 Cleveland Indians designated 1B Jesus Aguilar for assignment. December 30, 2016 Leones del Caracas traded RF Cesar Puello, OF Felix Perez and 1B Jesus Aguilar to Bravos de Margarita. November 3, 2016 Cleveland Indians activated 1B Jesus Aguilar. October 31, 2016 1B Jesus Aguilar assigned to Leones del Caracas. October 6, 2016 Cleveland Indians reassigned 1B Jesus Aguilar to the minor leagues. September 11, 2016 Cleveland Indians recalled 1B Jesus Aguilar from Columbus Clippers. March 25, 2016 Cleveland Indians optioned 1B Jesus Aguilar to Columbus Clippers. November 3, 2015 1B Jesus Aguilar assigned to Leones del Caracas. September 23, 2015 Cleveland Indians recalled Jesus Aguilar from Columbus Clippers. July 28, 2015 Cleveland Indians optioned 1B Jesus Aguilar to Columbus Clippers. July 24, 2015 Cleveland Indians recalled Jesus Aguilar from Columbus Clippers. April 2, 2015 Cleveland Indians optioned 1B Jesus Aguilar to Columbus Clippers. October 24, 2014 1B Jesus Aguilar assigned to Leones del Caracas. September 1, 2014 Cleveland Indians recalled Jesus Aguilar from Columbus Clippers. June 6, 2014 Cleveland Indians optioned 1B Jesus Aguilar to Columbus Clippers. May 27, 2014 Cleveland Indians recalled Jesus Aguilar from Columbus Clippers. May 20, 2014 Cleveland Indians optioned 1B Jesus Aguilar to Columbus Clippers. May 15, 2014 Cleveland Indians recalled Jesus Aguilar from Columbus Clippers. March 12, 2014 Cleveland Indians optioned 1B Jesus Aguilar to Columbus Clippers. November 20, 2013 Cleveland Indians selected the contract of Jesus Aguilar from Akron Aeros. October 9, 2013 1B Jesus Aguilar assigned to Leones del Caracas. 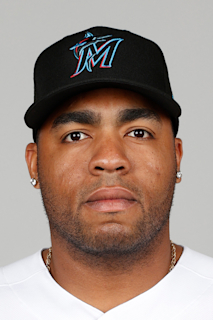 January 24, 2013 Cleveland Indians invited non-roster 1B Jesus Aguilar to spring training. September 26, 2012 1B Jesus Aguilar assigned to Leones del Caracas. August 14, 2012 Jesus Aguilar assigned to Akron Aeros from Carolina Mudcats. November 8, 2011 1B Jesus Aguilar assigned to Leones del Caracas. October 2, 2011 1B Jesus Aguilar assigned to Phoenix Desert Dogs. July 28, 2011 1B Jesus Aguilar assigned to Kinston Indians from Lake County Captains. April 4, 2011 Jesus Aguilar assigned to Lake County Captains from Mahoning Valley Scrappers. July 31, 2010 Jesus Aguilar assigned to Mahoning Valley Scrappers from AZL Indians. June 21, 2010 Jesus Aguilar assigned to AZL Indians. December 31, 2009 DSL Indians released 1B Jesus Aguilar.